Welcome to Oxygen Bangtao Villas by brown starling A very stylish way to spend your stay in Phuket is chilling in and Oxygen Style duplex with a private pool and garden near Bangtao Beach. Enjoy the contemporary comfort of a spacious open-plan living and dining area that opens onto the garden and swimming pool with a waterfall surrounded by a high wall and upstairs bedrooms with broad balconies and views of the beautiful hilly green scenery.Each of the upstairs bedrooms has en-suite bathroom with sunken bath and separate shower, all stylishly fitted out in black and white. An extra room off the downstairs living area can be used as a sitting room or converted into a third bedroom, making enough apace to comfortable fit up to eight people. The large fitted kitchen with bar counter is fully equipped with everything you need to prepare meals, including electrical appliances, pots, pans, dished, bowls, coffee cups and glasses for any occasion. Two Villas Holiday By BROWN STARLING is The smartest way to enjoy an affordable, hassle-free holiday in a luxury private pool villa on the sunny coast of Phuket island in southern Thailand. Take a truly realaxing and affordable vacation by the Andaman sea in one of our private pool villas - a holiday home in a gated residential area, and enjoy the convenience and luxyry of resort-styles services throughtout your stay. Two villas Holiday is the affordable luxury private pool villas. 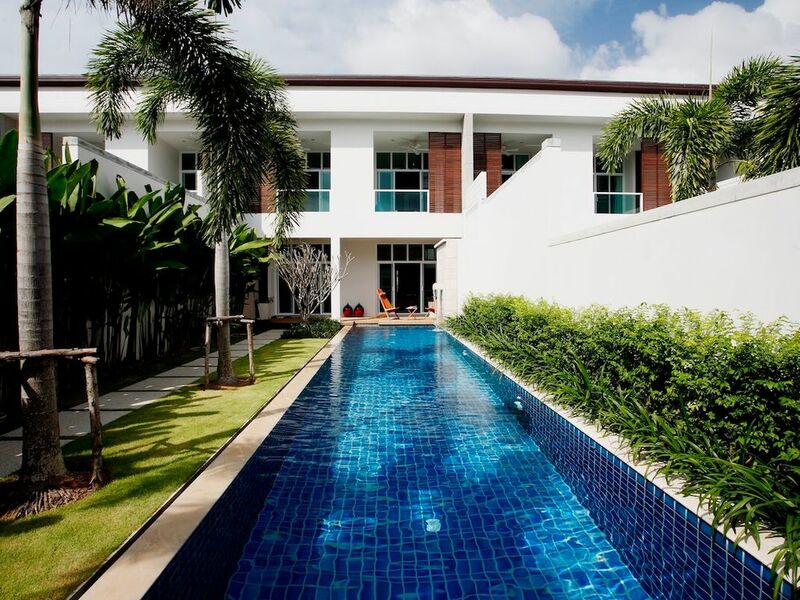 Featuring handsome accommodation near very exclusive, silvery beachs of Naiharn, Bangtao and Layan Beach. Feel like home at two villas holiday, Phuket offering you a real holiday and the best service with reasonable price.